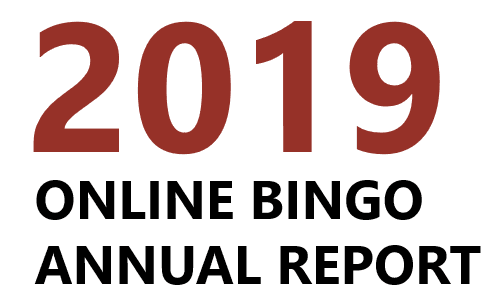 The 2019 WhichBingo Online Bingo Annual Report is now available for download. Read it today to find out how the bingo landscape changed in 2018 and what to expect in the coming year. Nick Harrison and his team at specialist creative and media agency Home, return to once again reflect on the how the TV and media marketplace has changed in the last year. Michael Hewitt and Amber Malone from Stickyeyes give their analysis of the latest Google algorithm changes and how they have affected the SEO landscape for bingo operators and affiliates. Results from our latest player’s survey which provide important insights into player trends, spending habits, attitudes and behaviours. A comprehensive look at the new site launches and site closures across the past year, with insights into why the total number of online bingo brands in the UK market has fallen for the second consecutive year. Sky Betting & Gaming Chief Executive Richard Flint discusses big developments in responsible gambling this year and what the industry can expect in 2019. Ken Muir from iGaming Tracker takes a look at the most popular slot titles of the year, with a specific focus on how the trends differ between bingo and sportsbook brands. Keir Hutton-Ferris (Kindred Group), Kevin McGinnigle (PDM Ltd), Ben Starr (15 Marketing) and Simon Collins (River iGaming UK) offer their thoughts on what lays ahead for the industry in 2019.